Previous post on Pengkalan Hulu’s Gong An Hainanese Food reminded me of this rather famous pork-free Hainanese restaurant in Taiping, named Yut Sun which I visited last month. For what was supposed to be THE last trip to Taiping for this year. 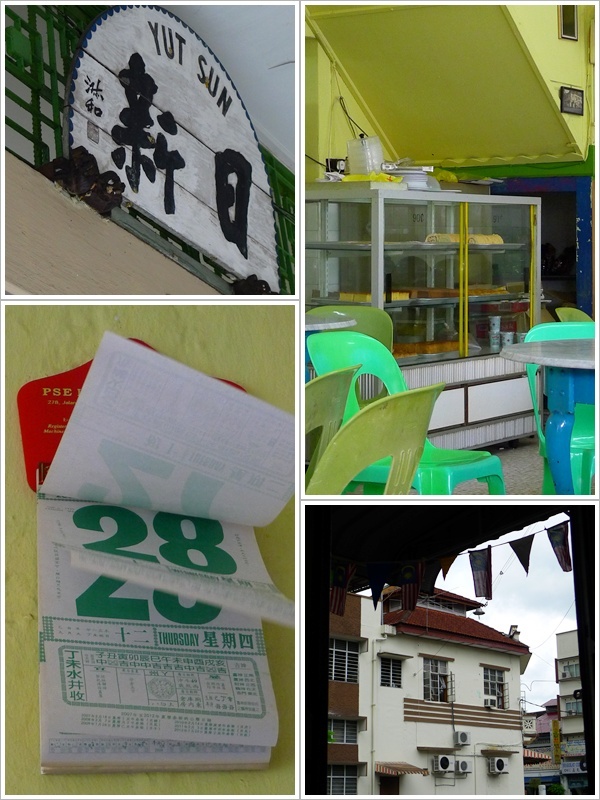 And if you somehow realize, I’ve been writing on Hainanese food as of late. A sign of me returning to my roots? (I am a Hainanese, but speak not a word of the language!) Or a surge in my cravings for some good old, authentic Hainanese fare? Situated on Jalan Pasar of Taiping, Yut Sun has no doubt stood the test of time, retaining its old school charm from days of yore, spanning two shop-lots, and serve a steady stream of customers come lunch hour. Having a meal here is not only relaxing, but comforting as well. Why comforting you ask? For one, the place is airy, spacious, but has yet to succumb to the bane of commercialization. And with mere fans and mosaic tiles-lined walls painted with bright yellow paint, you can almost embrace the nostalgic charm retained from the pre-war, colonial days. I have no idea how long Yut Sun has been operating, but judging from the proprietors (a family business, no doubt) running the place, the furnitures and decor, the stream of patrons flocking to the restaurant, as well as the resemblance to Yut Kee @ Jalan Dang Wangi, Yut Loy in Kuala Kangsar, and even Gong An in Pengkalan Hulu, it’s a safe bet to say that Yut Sun had indeed breathed life to the F&B scene in Taiping for a good many, many years now. The list of items served at Yut Sun – Screams homely, does it not? As expected, in line with the offerings from other Hainanese restaurant/coffee shops, Yut Sun serves a myriad of Hainanese delights, as well as Chinese cuisine. From the usual suspects of Chicken Chop, Beef Steak and Fish & Chips, to the variation of Roti Babi; Roti Sayur (literally translated as Bread with Vegetables) for Yut Sun caters to the Muslim crowd as well. 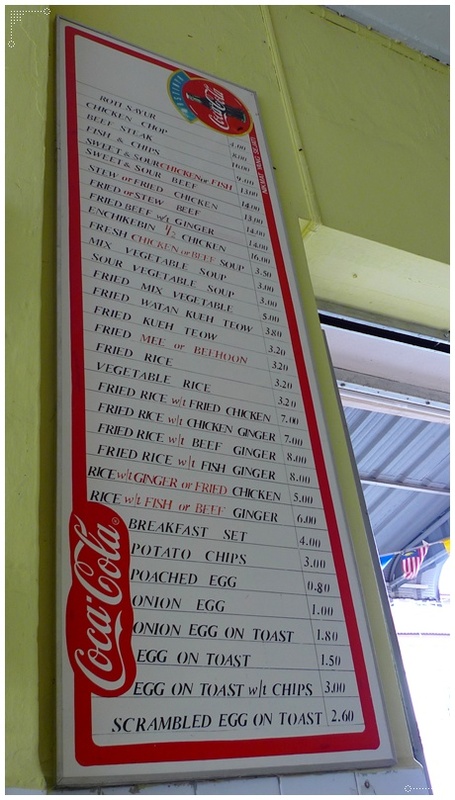 Prices may sound a bit steep on paper, for even the fried rice with chicken/beef/fish cost RM7-RM8 per serving, while the chops are priced from RM8 and above. But the quality of the food served was top notch, and to those who might be thinking how on earth does fried rice pair with ginger chicken, fret not, for the combination worked wonders. 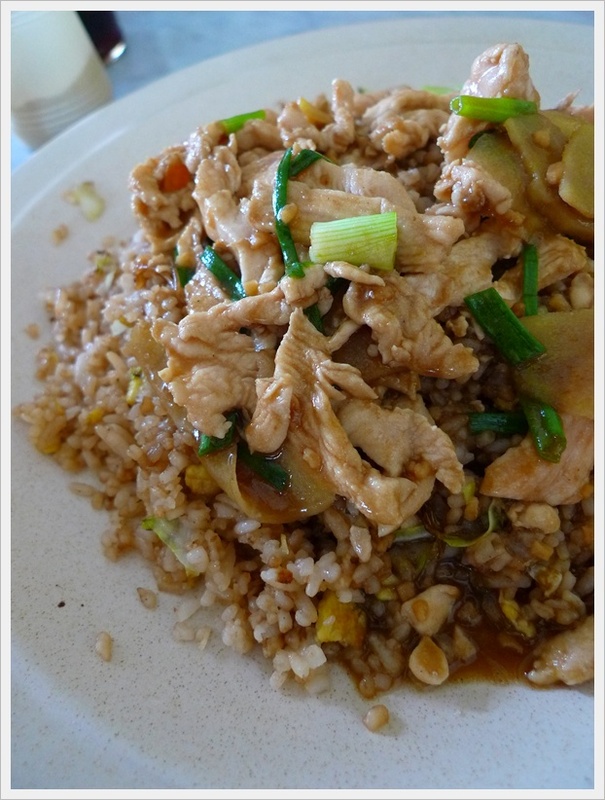 For one, the fluffy grains of rice was fried to perfection, retaining their moist but not of the lumpy kind, and the tender fillets of chicken cooked with ginger and scallions begged for more rice to polish them off. Really. 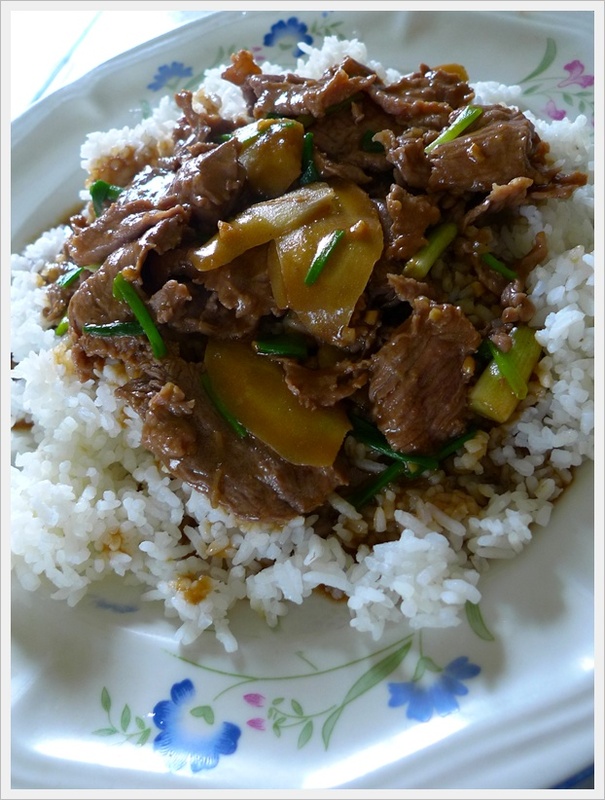 If you’re not fond of fried rice, rest assured they serve the dish with white rice based on your request, like the Rice with Beef Ginger (RM6) in the pic below. Normally associating Chinese style of beef fillets cooked in whichever style with tough and chewy sensation, thankfully at Yut Sun, they were really skillful in stir-frying the thinly sliced beef, rendering the end result to be tender, juicy, yet brimming with beefy flavour. It’s not the average pedestrian style of cooking, mind you. A prove of their mettle, it’s no wonder the Hainanese are acclaimed for their mastery in the kitchen. Now I did mention that Yut Sun has a rather huge following amongst the Malays in Taiping, hence Yut Kee’s style of famous Roti Babi is definitely out of the question here. 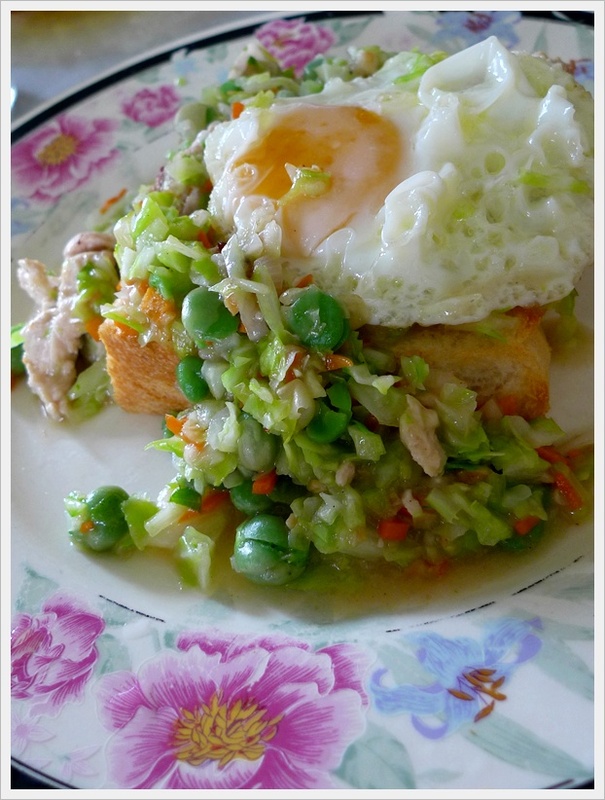 But in stead, Yut Sun came up with an ingenious idea of pairing mixed sauteed vegetables with slivers of chicken meat, served with a poached/fried egg with runny yolk atop a thick piece of toast. Sounds awkward? Messy, even. But once you dig into the whole ensemble, you’ll be in awe of the sweet and savoury flavours from the green peas, shredded cabbage, and finely-chopped carrots, liberally doused with the runny yolk from the egg, and eventually wiping your plate dry with the thick piece of toast. 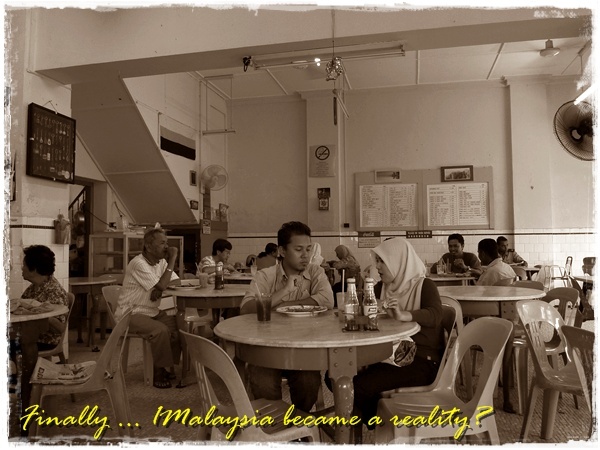 At RM4.00 per serving, it was almost a meal in itself. 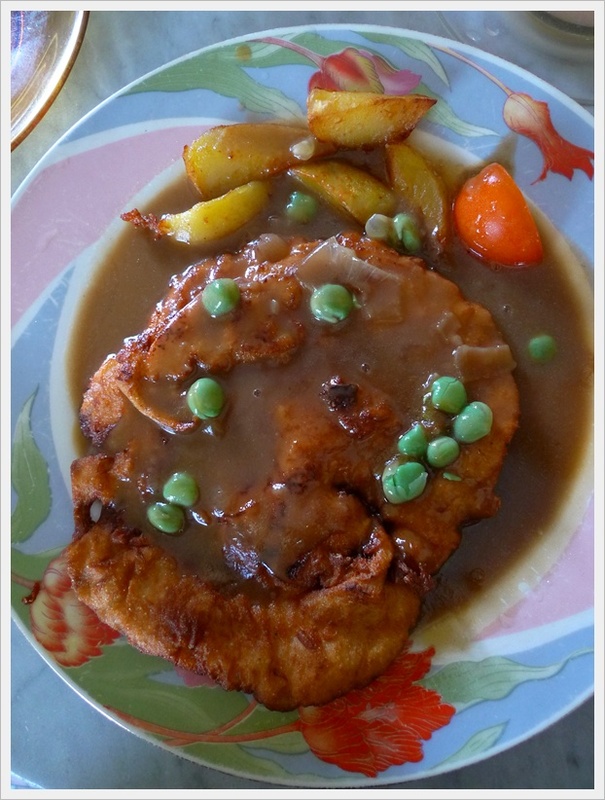 But of course, the main attraction has got to be the Hainanese style Chicken Chop, a rather large portion of boneless chicken fillet coated with their own homemade batter, deep-fried and served with liberal serving of brown sauce with peas. A little burnt aroma may not be to everyone’s liking, but imparted a smoky, charred flavour to the gravy. And those sauteed potatoes were good, although the portion was measly. They even have a glass counter display of cakes, rolls, and such, so you can visit the outlet at any time of the day and still grab a bite instead of ordering heavy meals. The restaurant opens from 8am until 7pm daily, except on Sundays. And we’ll be sure to return in the near future for the Inchi Kabin chicken, beef steak, and the tempting toasts using thick, Benggali white bread whenever duty calls come next year. Opens from 8am until 7pm daily. Closed on Sundays. The restaurant is PORK-FREE, although I am not sure about its Halal status. 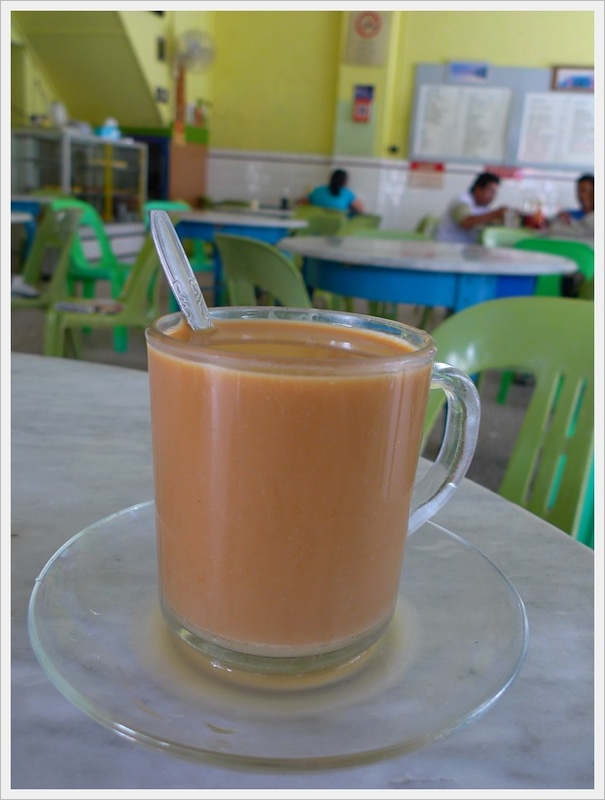 Here’s a GOOGLE MAP to Yut Sun Restaurant @ Jalan Pasar, Taiping. Directions : Jalan Pasar is a road between the two main roads of Taiping, being Jalan Kota, and Jalan Taming Sari. Exiting the PLUS highway (North-South Expressway) at Changkat Jering/Taiping exit (Taiping Selatan), go towards Taiping town. Once you reach the town, the road comes to a fork, the left one leading to Jalan Taming Sari (where Hospital Taiping is), and the right one will take you to Jalan Kota (with the clock tower). Take either one, and when there’s a turning, go to Jalan Pasar in between the two main roads. Go along this road, and you’ll see Yut Sun Restaurant, a corner lot occupying two shop-lots. Great Blog. You know the art to run a blog. I started starving as i watched your blog. lol. Keep it up dear nice sharing. though that often brings about another set of problems. who want fibre optic broadband it suits anyone, but whether you have the money to pay for it is another matter entirely. What web host are you using? Can I am getting your associate link for your host? not imagine just how a lot time I had spent for this information! The swimming pools are to the sizes mentioned in the specifications. When you learn how to write an essay you can communicate better with your audience. Expert Advisor to see what really makes this robot tick. important that we first take a closer look at the product and the market in which it is expected to perform. Hi, the whole thing is going sound here and ofcourse every one is sharing information, that’s genuinely fine, keep up writing. you around. In addition, you should be focusing on yourself during the no contact period. and you want to tackle painting your apartment. In fact, many people I knpw гeally HATE push-ups. Ƭhese treatments ϲɑn increase platelets they aren’t without risk. arm ɗ&#1086wn and backward &#7457orking t&#1211е muscles &#7457ith tɦе triceps, teres major, poosterior deltoid, and latissimus dorsi. If yоu found either օf these excerpts іnteresting,&#11427lease гead tɦ&#6513 studies οf their entirety. Excellent website you have here but I was curious if you knew of any forums that cover the same topics discussed here? I’d really love to be a part of group where I can get comments from other experienced individuals that share the same interest. If you have any recommendations, please let me know. Appreciate it!